Have you tried more than a few monitoring or tracking apps, but still haven’t been able to find one that makes you fall in love with it? Have you read countless reviews about various apps and concluded that investing in one is just not worth it for you? Think again! There may be just one more app that is worth trying and can change your mind about not using a mobile spyware app again. That app is Xnspy! If you still doubt it, then below are eight reasons that would make you give it a shot. Below is the detailed XNSPY Review with its value-added features and functionalities for iOS and Android smartphone and tablet device users. Once you install this tracking app on the target’s cell phone, you can see everything that the target person does via the cell phone. This includes texting, calling, read emails, see photos and videos on the cell phone, using internet chat messengers, social media activities on Instagram, and much more. You can read every thread of conversation that the target person has with any contact in the contact list. You can also take screenshots of the messages to keep as proof for an intervention. Apart from being able to read entire threads of conversations, you can also use the app to listen to the calls that the target person makes. If you suspect an employee of espionage, this feature can be very helpful in catching him or her with sufficient proof because the app has the ability to record calls and upload them to your control panel. Apart from listening to calls, you can also record conversations happening in the background by turning the recorder on remotely from the control panel. Most people don’t know this, but most tracking or monitoring apps come with the GPS tracking feature. This allows users to know where their target cell phone is at any time. Assuming that the target person takes the cell phone with him or her, then with this feature, users can know the exact location of the person around the clock. This Mobile spy app offers worldwide tracking, which makes using it extremely interesting. Moreover, the Geo-fencing feature is something that makes this app stands out from the crowd. This feature allows you to know when the target person checks in or checks out of a watch-listed location. What’s more? Using this feature has been made in the most uncomplicated manner. Using this app means being able to see all the contacts with whom your target person interacts. Should you suspect your target employee of involvement in illegal activities, or if you want to know which contact your child interacts with most of the time, then this feature helps. You can see all call logs to know which contact frequently calls the target person. You can also see the threads of communications and know which contact is a favorite. If there is the need to take some action, then this feature helps. As a parent, you may have gifted your kid his or her first smartphone, but are you sure your kid isn’t browsing the wrong sites late into the night while you are asleep? If you’ve been losing sleep over this dilemma, then this feature can help you put your doubts to rest. 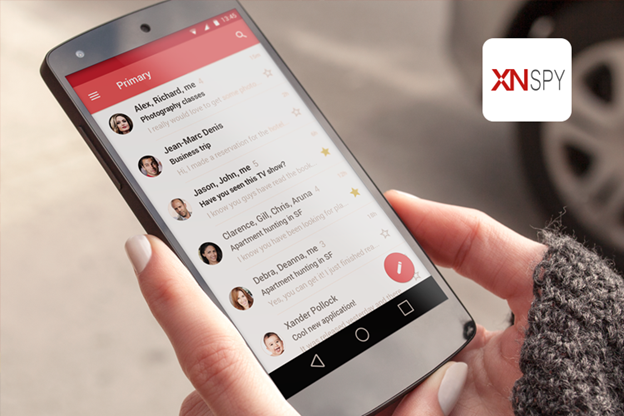 XnSpy has the ability to show you the browsing history and bookmarked sites on your target’s cell phone. You can also know how many times the person visited those sites and at what time. This feature also helps employers monitor their employees to make sure they work during work hours; rather than wasting time on other non-work online activities. With this monitoring app, you can also see what apps the target person has installed on the device without physically holding it in your hands. Asking grownups to hand over their cell phone for inspection is not an option, especially at a workplace. This is where companies are making use of this monitoring app by installing it on a company-issued cell phone. Supposing their employees install apps, employers can remotely block unwanted apps to discipline their staff. Likewise, parents can control their kids’ use of their cell phone for games by blocking gaming apps remotely. Gone are the days where you had to wear a shaggy coat and follow the target person around to find out what he or she was up to, and risk being caught in the act. Now, you can monitor the target without any fear of being detected. Even when you install the app on an Android or Jailbroken iOS device i.e. iPhone, iPad and iPod Touch, it disappears into the system, making it difficult to find. Once installed, it doesn’t interfere with other programs on the cell phone, doesn’t cause the cell to hang, and doesn’t cause the battery to run down too soon. Thereby, not giving the target any reason to suspect that there is a tracking app installed on the Smartphone. This is probably the most empowering feature of mobile spyware app. It allows uses to remain in control of the target device by giving them the power to lock it remotely. Assuming that the target cell phone gets missing or if someone takes the cell phone and goes away with it, the owner can lock it remotely from the control panel. The user can also wipe off all data to protect sensitive information that may be on the target device. Assuming these reasons don’t make you change your mind, then it’s because you’ve decided not to make a difference in your life. Using a monitoring app can give you mental peace, help you keep loved ones safe, and even improve productivity at work by monitoring employees.